He believes this is a reason to keep it illegal, but perhaps he has simply forgotten what Prohibition does to a society. 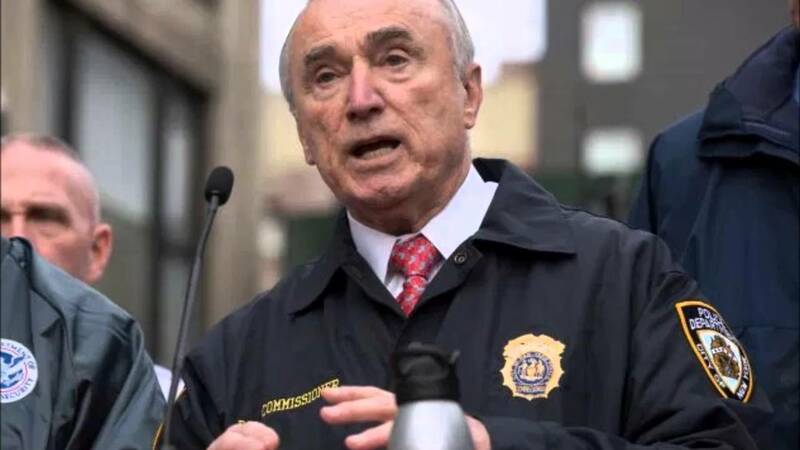 In this episode of “Dumb or Deceitful?”, New York Police Commissioner Bill Bratton recently expounded on how cannabis leads to violence and crime-ridden streets in New York. He believes this is a reason to keep it illegal, but perhaps he has simply forgotten what Prohibition does to a society. Most of the violence we see is involving marijuana, and I have to scratch my head as we are seeing many states wanting to legalize marijuana, and more liberalization of policies. Keep scratching, Bratton, they hide the ON switch under the scalp. Crime-ridden streets and everything would be incredibly dangerous, we’re not seeing any of that. Even Governor Hickenlooper has gone from reluctant tolerance to optimism and support. In this city, people are killing each other over marijuana more so than anything we had to deal with in the ’80s and ’90s with heroin and cocaine. The killings are not turf battles, but rip offs of marijuana dealers, robberies. Gabriel Sayegh, managing director of policy & campaigns for the Drug Policy Alliance, questions Bratton’s criteria for saying cannabis caused a crime. Presence does not prove causality, he says. Mind you, when legalization passed in Colorado, fearmongers like Bratton were forecasting imminent doom left and right. Some of the more conservative communities in the state passed bans on recreational shops when the law first passed, preferring to wait and see how Denver faired. They aren’t waiting anymore. Aurora gave the industry the OK in 2014, Commerce City removed its ban in 2015, and Englewood, Sheridan, Littleton, and Longmont are in the stages of debating and studying the possibility of legal stores in their area now. Michael Elliott, executive director of the Marijuana Industry Group, said fears are dissipating, and being replaced with rational tolerance. From small towns being able to overcome 20 years of deferred maintenance and pave all 12 miles of their streets, like Edgewater did, or cities like Englewood, whose schools are asking ‘Where’s our share?’ of the school revenue that Denver is raking in. Their citizens are shopping there and sending money out of the community, they say. Why not keep it here, and benefit? The truth is that the sky isn’t falling where cannabis is legal, it’s staying nice and high. Do you think that legalization nationwide will occur in the next 4 years? By 2025? How long until we finally tell our government “Enough is enough”? Share your voice on social media or in the comments below.